This is probably the most unusual face mask I have ever tried. 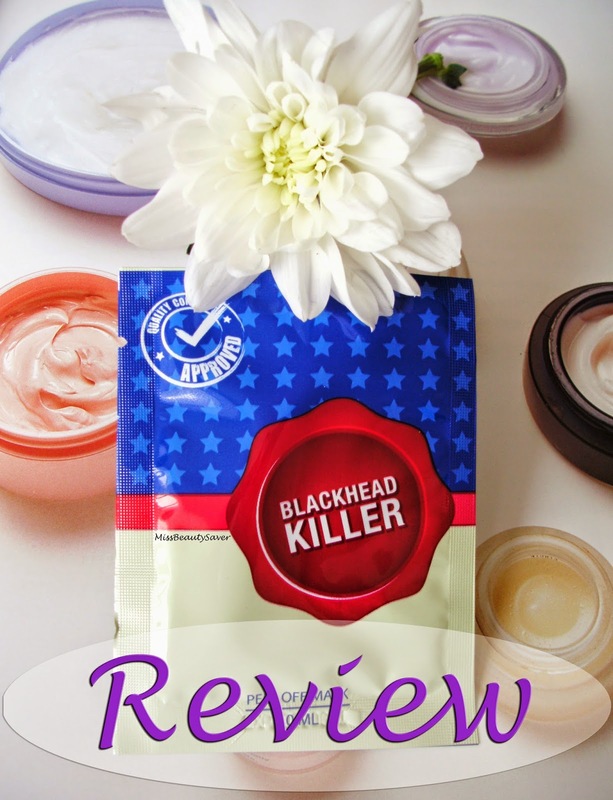 It's a thick, black, peel-off mask that claims to kill blackheads using natural ingredients! I have a lot of fun trying out new single use sachet face masks on a regular basis but I've never come across anything quite like this one before. Of course, being a black face mask makes it stand out a lot in itself but the way that this works is also unusual. It's actually quite similar to nose strips in terms of it's pore cleaning and spot removing abilities! This mask needs to be applied to cleansed skin in a thin layer and left to dry for approximately 10 minutes before peeling off. If you don't have a very high pain threshold, I would advise that you keep this mask away from your eyebrows and any fine hairs on your face as this does adhere to the face very tightly in order to work it's magic. Instead, try to concentrate the product mainly around your nose and t-zone area which is likely to be where most of your problem areas are anyway. If you apply it sparingly like this, you will also be able to get at least two uses from each generous 10 ml sachet. All opinions are honest and my own, as ever! At £14.95 for a pack of 5, these work out at £2.99 each which is more expensive than the average single use face mask but if you want something that you can feel working and see some instant skin clearing results, these may well be worth a try. Peeling off the mask feels very satisfying and you can see a lot of dirt on the back of the mask after use. It feels good to know all of that grime is no longer clogging up your pores! I also like that this contains natural ingredients and although it looks a little bit scary, it is really good for your skin. These masks are really good at what they do and they're great for using once a week to keep skin looking and feeling cleaner. It may take more than one attempt to figure out how to use these to their best effect but my advice is to apply in a thin layer, avoid any facial hair and leave them to dry for only 10 minutes as if you leave them any longer, you may find them quite difficult to remove. If you do find that you leave one of these on for too long, you can always wash it off if it's too painful to peel off. This product is quite unique and it's definitely an entirely new concept in face masks for me. I would liken it to being a cross between a face mask and nose pore strip! It's a really welcome addition to my skincare routine as I am prone to breakouts and clogged pores, so this has been helping to keep my skin clear.